Sandwich Heaven. | In Florence. A Firenze. So today I fell in love with a sandwich. You’re probably thinking this is ridiculous, or I’ve gone slightly mad, maybe even both, but this example of sliced-bread-goodness is possibly the best one I’ve ever tasted. There’s a chance I might be getting slightly ahead of myself, seeing as I’ve only been living in Florence for roughly a week. Even so, this place is worth sharing with the virtual world. 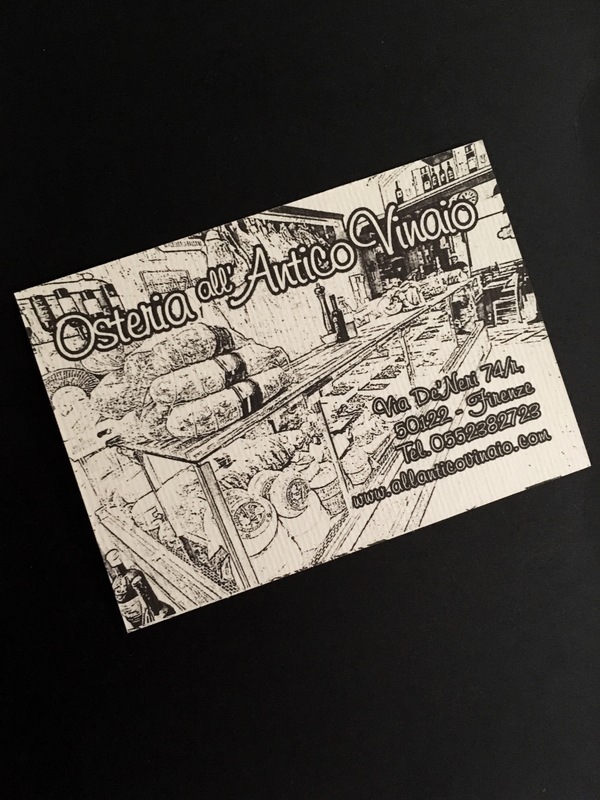 It’s called All’Antico Vinaio, and you can find it on Via de’Neri (see the map below). 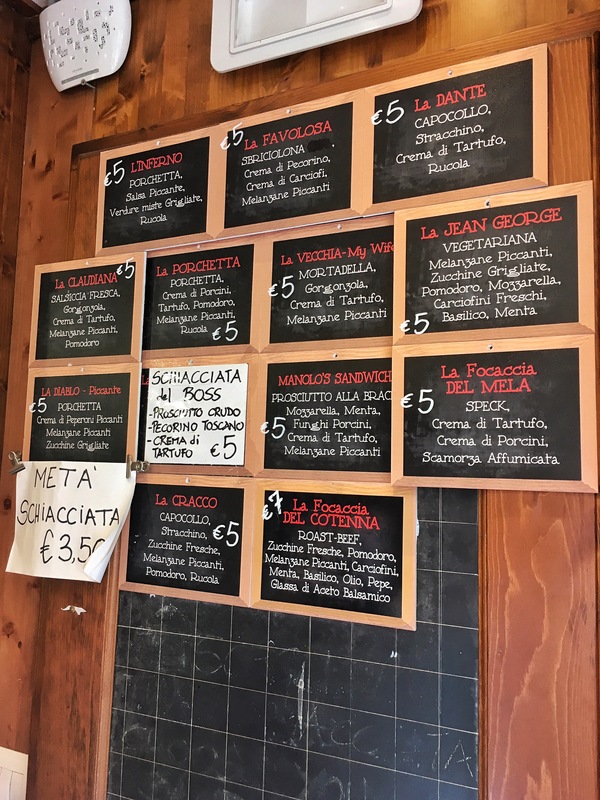 All the sandwiches have fantastically inventive names, my favourite being La Vecchia-My Wife (the Italian part means the Old Woman). I was rather boring and had the La Jean George, which is the vegetarian option, but my God it was amazing. Firstly the bread is the perfect texture, not so chewy it’ll rip your teeth out, and it was covered in large flakes of sea salt. Secondly, the filling wasn’t your standard vegetarian fare either: it had aubergine, grilled courgettes, tomatoes, mozzarella, fresh artichokes, basil and mint, all covered in a tasty sauce. I know vegetables aren’t for everyone, so I took a snap of the rest of the menu. 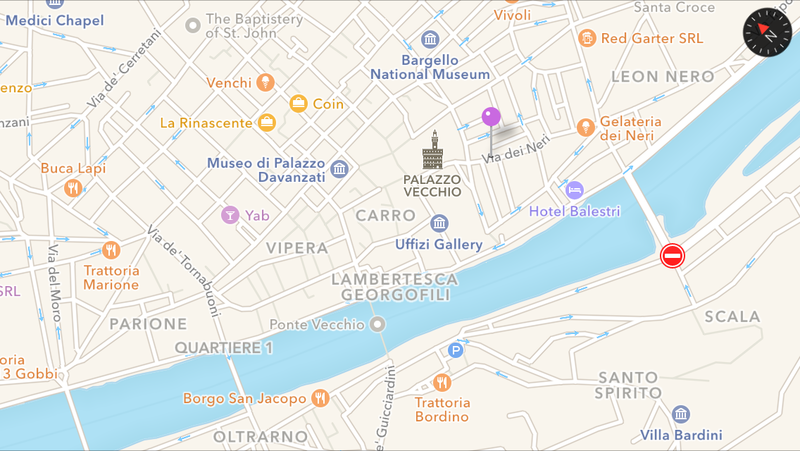 Considering it’s just off the main tourist areas, it’s also surprisingly good value. So if you’re looking for a quick and filling lunch, or even an early dinner, you can’t go wrong for €5. Good luck trying to finish all of it though! Looks absolutely delicious! Wish I was there.